Hi, I’m Kristy, and I’m a closet Twilight fan. (hangs head, sighing) Yes, it’s true. Please don’t throw rotten tomatoes…or other decaying produce…at me. For the past four years or so I’ve tried to pretend it’s all because of my daughter. Standing in line at midnight at the theater – and in Blockbuster when the DVDs were released. Reading until my eyes were so blurry I could barely see the pages, but just wanting to get to the end of this chapter (and then the next, and next, and next). I knew I’d read better stories, seen movies that might actually win an award here and there, but I’m a sucker for romance…even if it involves vampires and werewolves. Well, as long as they’re not scary. I don’t ‘do’ scary because I prefer to not ‘do’ nightmares (and if I read or watch scary, nightmares will follow). Apparently I live in a bubble. Several weeks ago, an author friend suggested I read a book called The Host. I had never heard of it – and wasn’t remotely close to interested in checking it out. Then I start reading Facebook posts from people wanting to know who was going to see the movie this past weekend. Surprise! I didn’t even know it had been made into a movie. A bubble, remember? A bubble. So anyway… I was open to a lazy, relaxing couple of days and thought…why not? Loaded the book on my Kindle, kicked back…and realized this tome was six-hundred and fifty-six pages long?!?!?! I hadn’t intended to relax quite that much, but figured I could read part of it through Sunday, then finish it as I had time. I got sucked in so fast it almost made my head spin, and every spare second I had found me with Kindle in hand (and trying to ignore silly things like the need to make supper or do a load of laundry). I’m not going to write a book review here, but I did want to say three things. First… Team Ian! Second…Stephenie Meyer really can write! And third…I think it’s time to pop the bubble. When I watch so little television that I miss trailers for movies like The Host, it might be time to take a break from 3D Mah Jongg, writing, Facebook, plotting, spider solitaire, and editing, and see if I can find a series or two I can tolerate during the long months when the few I do watch are on hiatus. Now I’m hoping our little small-town theater gets the movie in so I don’t have to go traveling, or wait until it’s out on DVD. Given the length and details in the story though, I doubt the movie will do it justice. 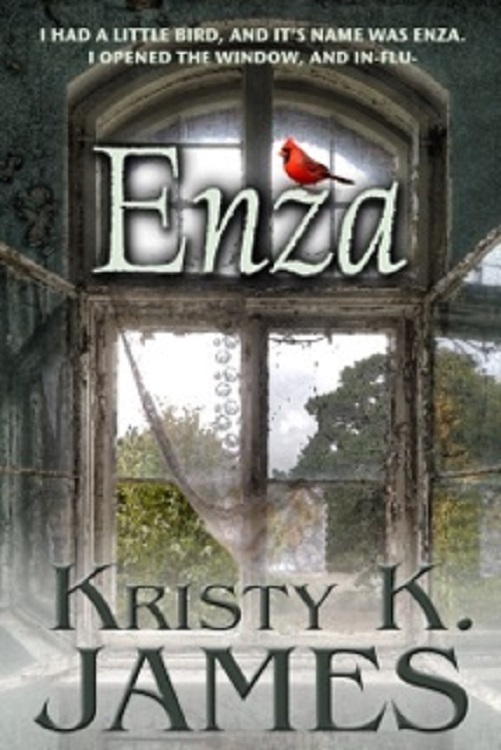 This entry was posted in Love and tagged A Fine Mess, A Harry Situation, A Hero For Holly, Enza, Erin's Christmas Wish, historical fiction, Kristy K. James, Reluctant Guardian, romance, Stephenie Meyer, The Daddy Pact, The Host. Bookmark the permalink. Understand that there are a ton of us twilight fans. Read the entire series, including Bree ‘s story and Midnight sun, 18 (yes eighteen) times. Sick, I know but there you have it. My bestie and I have 3 teen girls and used them as an excuse to go to Forks. Visited the high school, shops, spent the day reading Twilight on First Beach, went to Port Angeles to watch New Moon at the theatre. Neither one of us adore the movies but have seen everyone of them at the midnight premiers. Saw Eclipse in Port Angeles on our second trip to Forks. Yes we drug our teens back for a second trip just so we could see the premier in the Port Angeles theatre. And yes, we both own the entire movie set on Blue Ray/DVD/Digital. I LOVED The Host (read it 6 times) but she had to make herself finish it. I’m totally team Ian right along with you. That is a whole lot of yum. Haven’t seen the movie yet but it’s on the must do list. See, now don’t you feel better? Here’s proof that there someone more twisted that you. How cool that you went to Forks, Port Angeles and First Beach! I’d love to visit there someday. LOL about Midnight Sun. I’ve read it several times, too, and wish she’d finish it. I’ll be seeing The Host this week…it finally arrived at the only theater I go to, so I’m hoping it lives up to the book. That’s a whole lot of story to pack into two hours and five minutes. First off, I was in that bubble during the whole Twilight thing. My friend pushed me to read the book. She talked me into going to see the premier with her and I though, “Well, damn. If I’m going to see the movie and she wants me to read the book I had better do it before I see the movie or I never will. Because, you see, that’s how I operate when it comes to movies and books. The book had been sitting on my night stand for a month. I read the damn thing in a day. LOVED it! Pop that bubble, though and get involved with the Mortal Instruments series. The first movie from that line of books is coming out soon and it looks really cool. You saw it on my FB page the other night. I have to admit I was surprised I got into The Host, given where most of it was set, but I couldn’t stop reading it. Of course the same was true with Twilight. And The Morganville Vampires, at least until Bitter Blood, and I still haven’t been able to finish that. I’m wondering if it might not have been better to tie up loose ends and end it with Black Dawn. I’m Emma and I’m a big Twilight fan, and I’m not ashamed! I adore the books and even the films, even if a few of the latter are a load of crap. I read The Host and couldn’t get in to it, though I did make myself finish it. The film looks a lot better. I can’t wait to see the movie, either. My best friend and I loved the books, and now we have the guilty pleasure of watching the movies every chance we get. Granted, we mostly make fun of the earlier movies, because they don’t match the books we read. 🙂 We still have fun with them. I loved reading The Host even more. Oh I know! I saw Twilight before I read any of the stories…and couldn’t believe what they’d done with the movie. It still irks me that they added the greenhouse scene instead of something that was actually IN the book. I love the Twilight series, both books and movies. I’ve been open about it. I didn’t read the books because my writer friends said the writing was awful. Then one of my daughters who never loved reading (she’s an adult) raved about it and loaned me the first in the series. I loved it, found the story compelling, even if the writing had common newbie mistakes. Just goes to show if a story is compelling, your average reader won’t even notice problems with the writing, or if they do, they’re very forgiving. You’re the first one I’ve heard anything about the host from. Now I want to read it. Thanks, Kristy! I just saw the movie yesterday. Wow. They stayed really true to the book. I was impressed. I liked the cast, too. I honestly didn’t care for most of the Twilight cast (I’m sure they’re good people). Kristy–I agree with you about the greenhouse scene. Seriously, she doesn’t have to write another book ever, if she didn’t want to. I read her short book The Short Second Life of Bree Tanner, based on the young vampire girl that the family tries to save. Very interesting perspective. I enjoyed it, too. I can’t wait to see the movie, Diana. So far they haven’t gotten it at our little theater. Sure hope they do, or I’ll be waiting until I can rent it (AFTER I pick up a bag of popcorn from the theater).